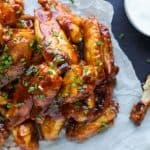 Crispy Honey BBQ Chicken Wings – baked instead of fried these classic chicken wings are as crispy and delicious as ever! 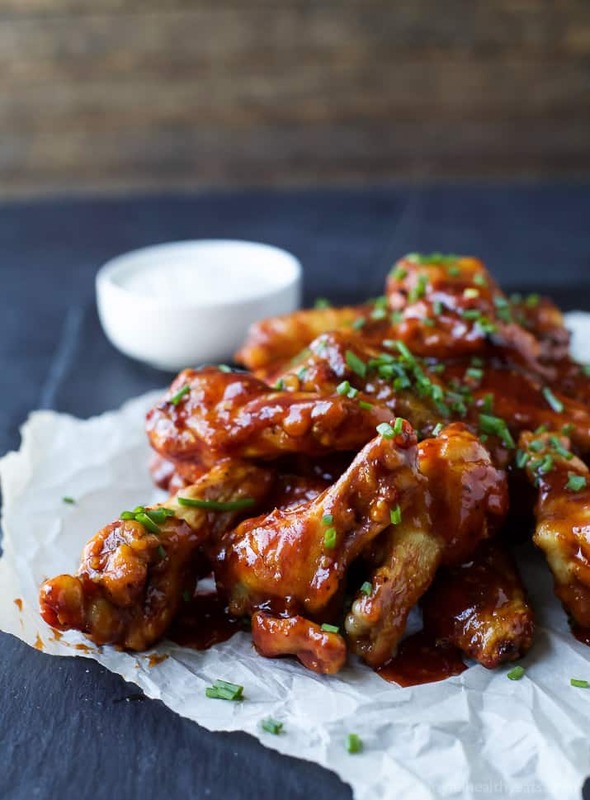 Crispy Baked BBQ Chicken Wings – baked instead of fried these classic chicken wings are crispy, tender and smothered in a sweet ‘n spicy Honey BBQ Sauce! 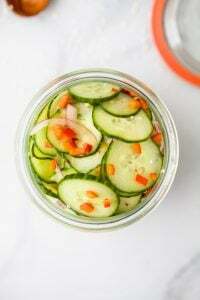 A definite crowd pleaser and the perfect game day recipe! Today, so far, is perfection! I was finally able to get back to the gym since Hurricane Harvey hit and now I’m sitting outside drinking an almond milk cinnamon latte with a cool … YES cool … breeze blowing as I work. I actually had to put a jacket on because I started to get a little cold, which was glorious! These are my favorite days. Fall days. They have always been my favorite, especially when I lived in the Midwest. In Wisconsin, I loved the weather this time of year. The changing color of the leaves is irreplaceable in my mind. Each year was a different. Each tree was different. Each leaf had a different shade. It was like God was painting this amazing masterpiece and we got to watch it form. Something about sitting outside makes me feel recharged. To feel the cool breeze on my skin gently blowing my hair. Or to feel the warmth of the sun on the beach while hearing the waves crash. Our world is absolutely beautiful. Sometimes we just forget to get outside and enjoy it. But when we do it’s refreshing for the soul in the deepest parts. On a more serious note. The first NFL game of the year was yesterday which means it is “go time” this weekend y’all! Packers are on at 3:25pm and the Cowboys play the Sunday night game! I know I am. I am also ready for the football food. 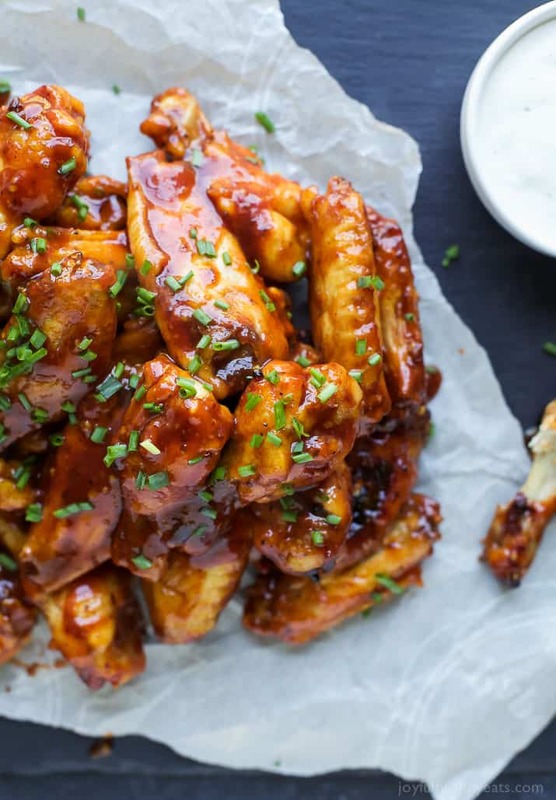 Our main go to on the football foot front is Chicken Wings. It’s kinda a no brainer. Wings, Beer and Football just go together… kinda like Mac & Cheese or PB & J! On Wednesday, for my husbands fantasy draft at our house, I whipped up these Crispy Baked Honey BBQ Chicken Wings along with some other goodies … ahem Loaded Sweet Potato Wedges and Cheesy Buffalo Chicken Sliders that I cannot wait to share with you. 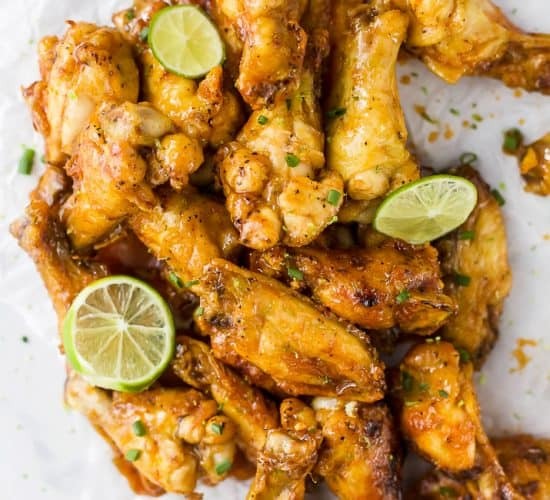 It was hard to decide which of those game day recipes I was going to share first, but wings are a staple during football season so I figured they better come first. Which one of the other two would you want to see next? The Wedges or the Sliders? Anywho, back to the recipe. What I love about these wings is that they are baked in the oven instead of fried. What temperature do you bake the BBQ wings at? How long do you bake the Wings? I bake the wings on a wire rack (to let the juices drip) at 400 degrees F for 40 minutes total. I flip them half way through to cook the other side. Ok, they are baked. How do you get them crispy? I turn the broiler on to HIGH and put the wings under the broiler for 8-10 minutes. 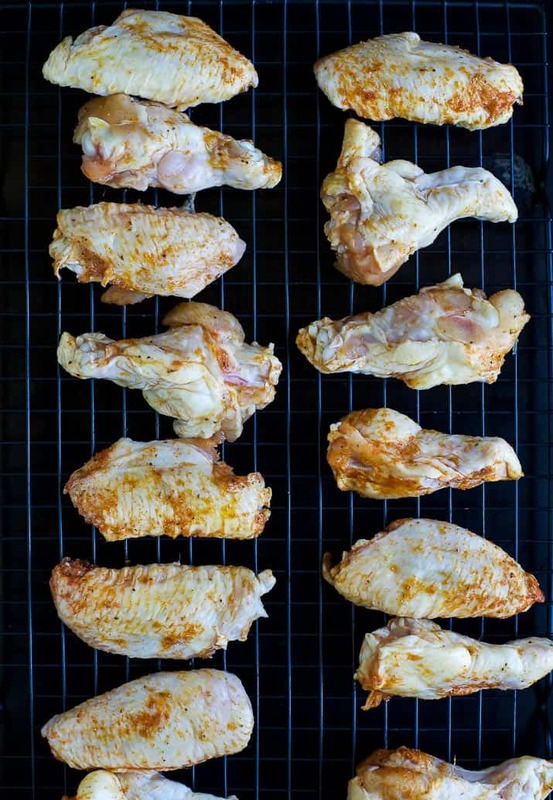 This gives the BBQ Chicken Wings a nice crispy texture, the same you get from “frying” wings. It is absolutely amazing. The process has taken me a while to perfect. But now that I’ve nailed the texture they come out flawless every time. All I have to do is change up the sauce for whatever mood I’m in! And today it was Honey BBQ. This sauce has a slight tang to it from the mustard, sweetness from the honey and a tiny kick because I decided to add Sriracha at the last minute. 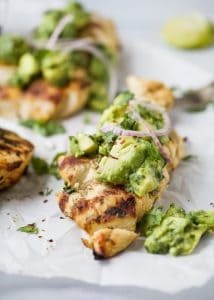 You are absolutely going to love it and lick every bite of sauce off those sticky fingers! 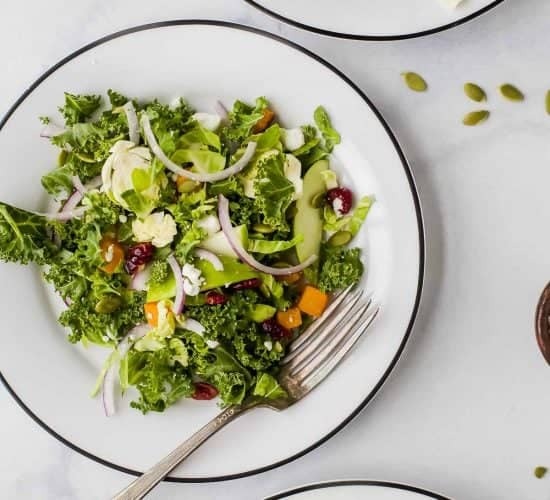 Bon Appetit y’all and happy weekend! 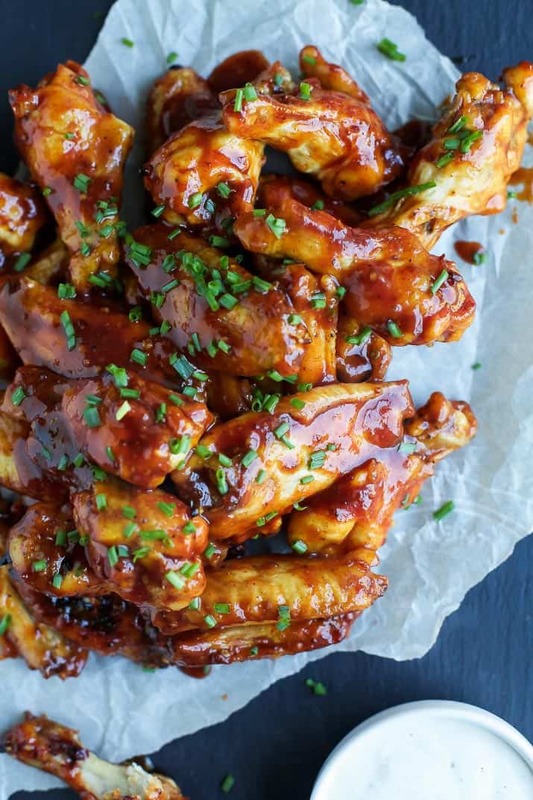 Crispy Honey BBQ Chicken Wings – baked instead of fried these classic chicken wings are crispy, tender and smothered in a sweet spicy Honey BBQ Sauce! 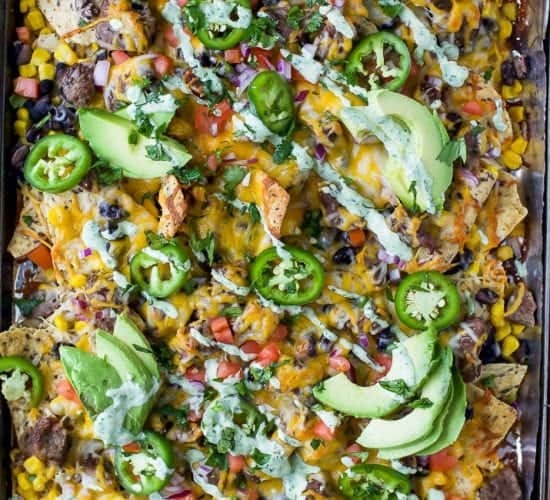 A definite crowd pleaser and the perfect game day recipe! 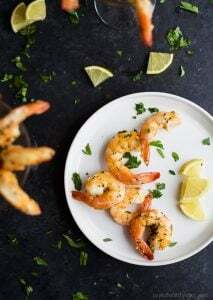 Drizzle with 2 tablespoons of canola oil, garlic powder, onion powder, smoked paprika, sea salt and pepper. Toss to coat all the chicken. In the meantime, heat a medium sauce pan to medium heat. Add BBQ sauce, honey, stone ground mustard and sriracha sauce. Stir and bring to a simmer, let simmer for 2 minutes. Remove from heat and set aside. Remove chicken from oven. Place in a large bowl, pour the Honey BBQ sauce over the chicken wings. 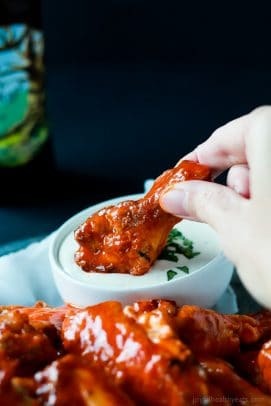 Using a pair of tongs, toss the wings to coat all of them with the sauce. 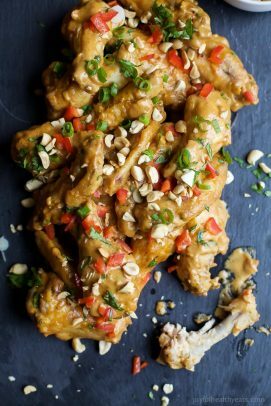 Want More Game Day Chicken Wing Recipes? My husband had friends over for Hawkeye football this past weekend, and I made these. They were an absolute hit!! The men just devoured these up. They were so juicy, the meat slid right off the bone. 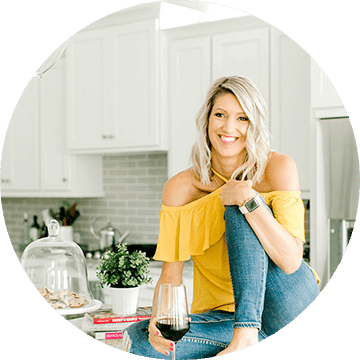 What I loved most was not having to stand over a hot stove frying over forty wings. 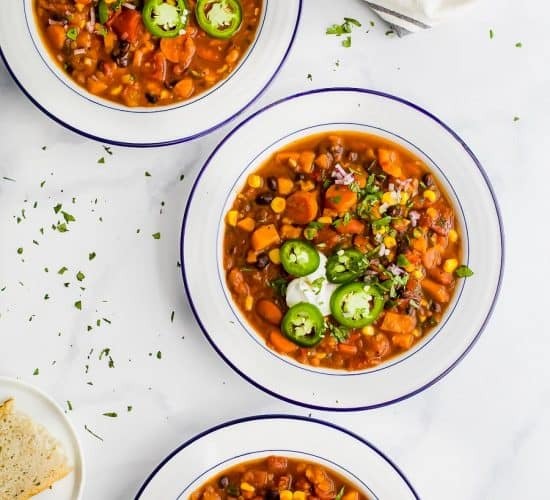 Thank you so much for sharing this tasty and easy recipe! Amen to that. Not have to worry about being splattered by oil is always a plus. I’m so glad that these wings were a hit Kate! I am curious — is the chicken frozen or defrosted when you put it in the oven? Thanks. 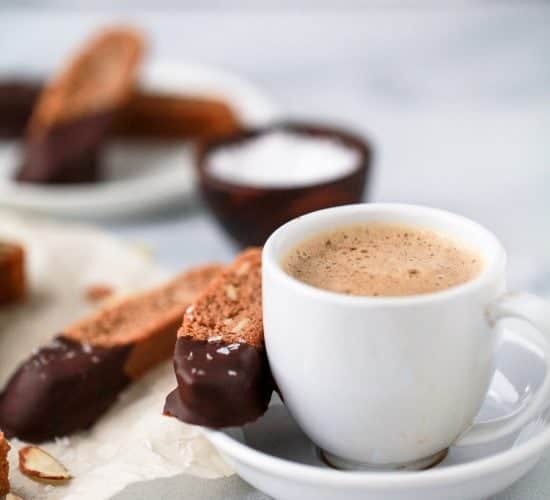 Thank you for the wonderful recipe ! I tried it today and though I didn’t have the mustard and I replaced the siracha sauce, with the siracha seasoning!!! Everyone loved the sticky and yummy wings! woohoo… these are definitely a crowd pleaser. Glad you were able to sub a few things and they still came out great! I tried the honey BBQ wings and hey turned out perfectly. I did not have parchment paper so I sprayed Pam on aluminum foil and it worked well. Absolutely fantastic. awesome, great way to improvise! I really liked these wings! You were so right about the baking and I couldn’t believe how crispy they got just with using the broiler! Not frying in my house again for wings! The sauce was an added bonus, and I must say the sriracha was a brilliant idea with the sweet sauce! Definitely a keeper! These wings look amazing. I love all things honey bbq! 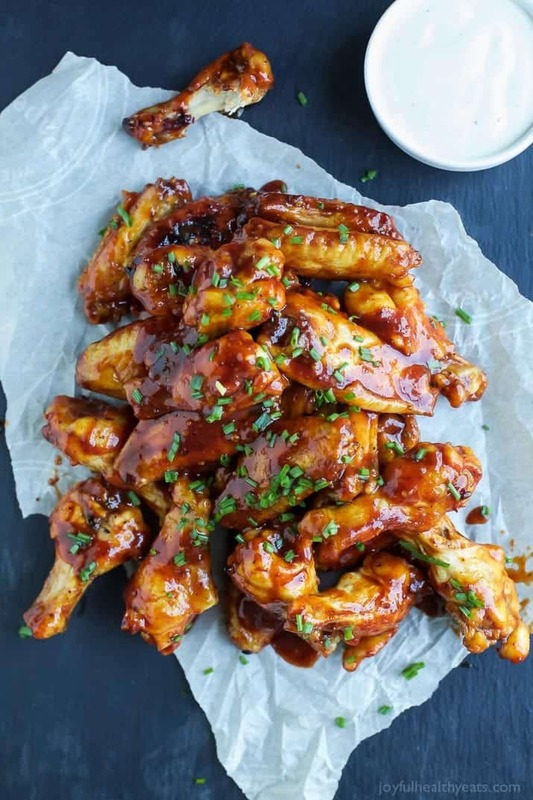 I love barbecue wings, and these look yummy! Definitely trying this out! These look AMAZING! That sauce on top looks incredible and so flavorful! 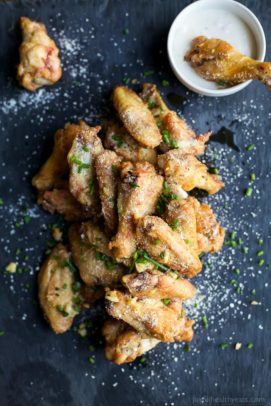 These wings are perfect for a game day this weekend! These were an absolute hit with my family. My 12 year old daughter who eats very little (amount and variety of food) DEVOURED these. My husband said they were better than a local restaurant we go to with great wings. 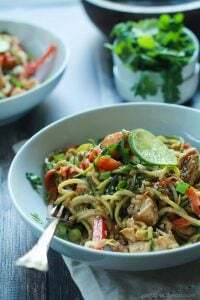 I loved how easy and not messy this recipe is. Definitely going to be a go to.